Rung to celebrate the 90th birthday of Audrey Walters, grandmother of the treble ringer. First submitted Saturday, 3 November 2018 at 21:00:20 by Jack E Page. 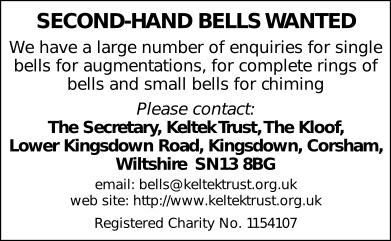 Sent for publication in The Ringing World on Saturday, 3 November 2018 at 21:00:32, and printed in issue 5613, page 1131.